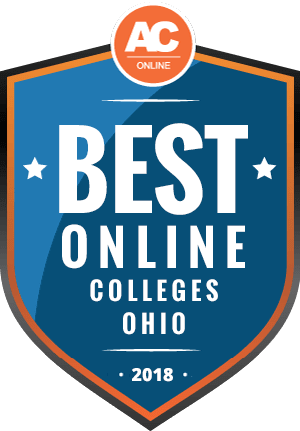 Why Choose Ohio for Online Higher Education? By 2020, a projected 64% of Ohio jobs will require postsecondary education, with 10% requiring a graduate degree. Ohio’s Department of Job and Family Services adds that more than 300 professions will require some college experience by 2026. With so many positions needing higher education credentials, now is a great time to pursue an online degree in Ohio. The U.S. News and World Report ranks Ohio State University as number one among online bachelor’s programs. The same source ranks Case Western Reserve University, Ohio State University, and Miami University among the top 100 national universities. Central State University ranks among colleges with the most affordable nonresident tuition. These rankings verify that learners can earn quality, affordable education through online colleges in Ohio. Students can consult the Federal Student Aid office of the U.S. Department of Education for general financial aid details. For more specific information, such as available programs, enrollment dates, and academic deadlines, learners should consult their schools. According to the Integrated Postsecondary Education Data System (IPEDS), Ohio schools offer more than 200 online programs and educate more than 50,000 undergraduate, graduate, and international learners who study online. Candidates pursuing accredited online degrees at these institutions may include single parents and full-time employees who need flexible online learning, and also students from industries with declining employment. The best online schools in Ohio can provide learners from underserved areas and in nontraditional situations with educational opportunities that can lead to lucrative careers. Students interested in affordable online degrees in Ohio should focus on public schools, since they typically charge less than private institutions. For lower costs, candidates can also explore two-year schools, which often charge lower tuition than four-year options. Resident students often pay less in tuition than nonresident learners, but to qualify as an Ohio resident, learners must provide evidence of living in the state for 12 months. However, out-of-state learners can also pursue cheap online degrees in Ohio if they reside in a state joined in a reciprocity agreement with Ohio. In the 2015-16 school year, tuition for resident students at public Ohio colleges surpassed national averages by nearly $2,000. However, nonresident learners’ tuition at public Ohio schools hovered approximately $1,000 lower than that year’s national average. According to the Education Resources Information Center, many schools charge online learners higher tuition than on-campus students. For example, most branches of the Minnesota State College and University system charge, on average, 19% more for online tuition. However, this detail varies among universities, so candidates should consult their schools to determine tuition needs, including learners pursuing affordable online programs in Ohio. Schools may also charge online candidates distance learning fees that increase educational costs. IPEDS reported that in 2016, more than 13,000 out-of-state learners exclusively attended online colleges in Ohio. Nonresident students interested in similar academic paths should consider state reciprocity agreements that provide tuition breaks for out-of-state candidates who attend online universities in Ohio. Candidates should also look into their school’s attendance requirements for online learners. For instance, fully online programs in Ohio may require on-campus orientation or residency components where candidates must visit campus. Ohio boasts membership with the Midwestern Higher Education Compact (MHEC) and participates in the organization’s Midwest Student Exchange Program (MSEP). For this program, public schools charge out-of-state learners a maximum of 150% of their resident tuition rates. Private schools also participate in this program by giving non-resident candidates a 10% tuition discount. MHEC states include Ohio, Illinois, Kansas, Indiana, Michigan, Minnesota, Nebraska, Missouri, North Dakota, Wisconsin, Iowa, and South Dakota. However, South Dakota and Iowa do not participate in the MSEP. Schools in MSEP-participating states may set admission standards and regulate enrollment for out-of-state learners who earn these tuition discounts. Through the MSEP, candidates can save $500-$5,000 per year, depending on the tuition rates and status of their chosen schools. The State Authorization Reciprocity Agreements (SARA) ensure common higher education standards across states to make online learning easier for nonresident students. Most states participate in this agreement, including Ohio schools like Antioch College, Cedarville University, Columbus State Community College, and Marietta College. SARA allows students from other states to more easily pursue online degrees in Ohio, with tuition discounts provided from the MHEC membership. School quality depends on qualitative factors, including campus environment and school values. Quantitative details also matter, such as student retention rates, the number of available programs, study-to-faculty ratios, and the percentage of post-graduation employment. School value also relates to affordability, faculty quality, and public notoriety. The following ranking considers these concerns and more, and provides a series of schools that reflect the best combinations of quality and affordability. Being a small Christian school, Mount Vernon Nazarene University sees a student population of around 2,200, with nearly 440 of those students earning their degree online. Through MVNU's online campus, students can complete an associate, bachelor's or master's degree in fields such as business, education, ministry leadership and public administration. Some programs, such as the master's of arts in education, require in-person practicums so coursework is not offered 100 percent online. Similarly, the bachelor of business administration is only offered online to students who have previously completed 56 credit hours, either at MVNU or at a regionally accredited college. Students at MVNU have access to on-campus Christian counseling, IT services, libraries and a center for student success that supports career and academic development. Scholarships and other financial aid are available to specific student groups such as incoming freshmen, transfer students and a host of athletes, musicians and other bright individuals. Tiffin University has 40 online bachelor's and master's degree programs available through accelerated classes. Tiffin's online programs were developed for students who work full-time and are offered in various academic fields such as business, criminal justice, management, psychology and marketing. Courses last seven weeks and there are six possible start dates throughout the year, so students have multiple opportunities to start their program. Online courses at TU are asynchronous so students can do their classwork around their schedule. Classes are powered through the learning portal, Moodle. TU wants to ensure all its online students succeed. As a result, several academic resources are available, such as individual tutoring services, library access and skill-building workshops. Undergraduate online students benefit from a discounted tuition rate and graduate students who are TU alumni also receive a $150 per credit discount. Other financial assistance at TU includes special military tuition rates as well as rates for partnered businesses in Ohio. For the past 20 years, The University of Toledo has been providing online education through individual courses and full degree programs. Through UT Online, students can earn a degree or certificate that spans the spectrum of academia, from associate to doctorate levels, without the burden of traveling to campus. At least nine online programs are available at each degree level from associate to master, and can be earned in fields such as education, liberal studies, engineering, business and healthcare. Three bachelor's degree options are completion programs, which are designed for students with previous college credit. Some UT Online programs include face-to-face components such as field experiences, clinical placements or student teaching, depending on the field of study. A full list of programs with in-person requirements can be found here. With the exception of California and Massachusetts resident, students living outside of Ohio are permitted to enroll in UT's online programs. Adult, transfer and online students are eligible to receive scholarships allocated for non-traditional students. Roughly 85 percent of new students are awarded a grant or scholarship at UT. At Ohio State University, several educational opportunities are available to online students, from certificate to doctorate programs. Online classes at OSU allow students to learn course material and complete assignments on their own schedule. Students have access to more than 20 online degree programs. Distance learners can pursue nursing, early education, dental hygiene or social work, to name a few. While associate and bachelor's degrees are available, the majority of OSU's online options are master's degree programs. At OSU, an online degree is defined as having at least 50 percent of the program offered digitally, so certain online programs may include in-person requirements. Such details should be noted in the specific program's requirements and syllabus. Tuition for online learners is a set price, regardless of students' residency. Students can use this resource to find out which programs are available in their state. At Ohio University, students can earn an online degree through OHIO Online, the university's digital campus. Currently, Ohio provides nine bachelor degree-completion programs and five associate programs in an online format. Some associate programs are offered in a “flexible format,” which is a mix of online, print and/or independent learning. OHIO's online bachelor's programs allow students to complete some coursework simultaneously at local community colleges, but students can also complete all courses through OHIO Online. Graduate students have the largest program variety, with 26 fully online degrees and seven blended programs. Online master's degrees can be completed in subjects ranging from education to engineering, while undergrad degrees can be earned in areas such as criminal justice, nursing, psychology and communication. In the 2017-2018 school year, out-of-state online students paid three dollars more per credit than in-state students. The University of Cincinnati gives students the flexibility to complete their education online with more than 80 certificate and degree programs. Distance learning through Cincinnati Online is a popular choice - in the 2016 academic year, nearly 5,500 students chose to earn their degree online at UC. Most distance programs are offered entirely online and are comparable in quality to their campus-based counterparts. Undergraduate degrees are available in a range of disciplines through UC's College of Allied Health Sciences, College of Arts & Sciences, College of Blue Ash, Clermont College, College of Education, Criminal Justice and Human Services, College of Engineering and Applied Science, and College of Nursing. Graduate students can choose from 23 online master's degrees and one doctorate program in health sciences, engineering, education, criminal justice and nursing. UC is authorized to provide online education in all states in agreement with the NC-SARA regulations. Interested students can learn about past online learners' success on the school's Fall Fact Sheet. Online learning at Miami University caters to full-time, campus-based students who want flexibility to complete some courses online as well as working professional looking to earn an advanced degree or certificate from anywhere around the world. The eLearning Miami (ELM) department is the gateway to online student resources such as IT services, writing tutoring, library access and Canvas assistance. Graduate students at MU can pursue one of three fully online master's programs in design, educational technology or biology. Four master's degree programs are offered in a hybrid format in the same subjects, plus a creative writing program. Students can also complete a fully online graduate certificate in instructional design, autism disorders or entrepreneurship. Qualifying Ohio high school students can get a jump start on their bachelor's degree by taking online courses at ELM for college credit. Bowling Green State University offers 100 percent online degree programs through the school's eCampus. BGSU's online programs were created for unconventional students who may need to work full-time or have other commitments that bar them from attending class in person or at traditional times. BGSU's programs are offered in seven-week time periods, at six different start dates per year, at a pace twice as fast as a traditional college semester. Four Bachelor of Science degrees are available in business administration, allied health, quality systems and management. For graduate students, 11 programs are provided in addition to eight certificate and endorsement programs. Online degrees at BGSU offer the same quality education as on-campus programs and are offered in states that are part of the NC-SARA agreements. Founded in 1865, Wilberforce University is among the nation's top five oldest historically black colleges. Today, enrollment at this small private college reaches around 500 students. Wilberforce has 23 undergraduate programs in majors such as biology, English, computer science, communications and sociology. The programs award graduates with either a BA or BS degree. For adult learners aged 23 or older, Wilberforce provides the Credentials for Leadership in Management and Business (CLIMB) program to help atypical students complete their degree. The CLIMB program allows adults to take classes online, in the evenings, or in a blended format to complete a bachelor degree within 18 months. Prior to enrollment in CLIMB, students must already have completed a minimum of 45 university credits, with at least a 2.0 GPA. Through CLIMB, students can complete one of four degree tracks: criminal justice, information systems, health and humanities or organizational management. The second largest university in Ohio, Kent State University has eight campuses based in Ohio, six facilities in other states and four international learner centers, serving more than 40,000 undergraduate and graduate students. To make learning at KSU even more accessible, Kent State Online provides more than 25 online degrees, plus a handful of certificate programs. Undergraduate students can earn an associate degree online in office technology, environment management or computer technology. At the bachelor level, five online programs are available. Two of them -- nursing and respiratory care -- require students to have already completed an associate degree. The remaining programs in public health, insurance studies, and technical and applied sciences don't require prior college credit to enroll. Graduate students can complete their master's degree in a mix of different practices such as art education, latin, business, translation and public administration. Online classes at KSU employ Blackboard Learn as a digital classroom system, and support for using the technology is offered online. With 13,000 students, Youngstown State University prides itself on being just the right size to keep students from “getting lost in the crowd”. The university offers more than 115 undergraduate and 40 graduate programs, providing plenty of options to choose from. Through YSU's distance education department, students can complete a bachelor or master's degree online, with six programs available at both levels. Five of the online bachelor degrees are completion programs for students with an associate degree. The online B.S.A. in public health can be completed in eight semesters. Graduate students can earn their master's degree online in fields such as business administration, respiratory care and financial economics. At YSU, more than $7 million is awarded annually to students through the university's scholarship opportunities, including between $500 to $1,000 for online graduate students with a GPA of 3.5 or higher. Urbana University claims the honor of being the first university in Ohio to provide degree-completion programs through distance learning opportunities. The university estimates an enrollment of 1,800 students, of which more than 250 choose to study either online or through an outreach center. Urbana provides nearly 40 certificate and degree programs, and one online MBA program with a concentration in healthcare. The degree is designed for working individuals, where students can take one class per semester to finish the program within 32 months. The online MBA program is structured into four, 12-week semesters per year, and students are required to complete nine courses. In 2014, Urbana University became part of Franklin University and in 2017 was officially recognized as a branch campus. Founded in 1900, God's Bible School and College provides online degree programs centered around religious studies, ministry and church practices. The school offers nine online degree programs from the associate to master's degree level, as well as single online courses viewed through the lens of Christianity. Online students can complete an Associate of Arts degree in bible and theology, ministerial education, general studies or intercultural studies and world missions. At the bachelor level, students can earn their online Bachelor of Arts degree in church and family ministry, ministerial education, or biblical and theological studies. Master's of Arts degrees can be earned in ministry and biblical studies. God's Bible School and College is accredited by both the Higher Learning Commission and Associate of Biblical Higher Education. The University of Akron has eight online programs available, including certificates. The RN to BSN program is the only available online bachelor's degree and is reserved for current licensed RNs with a GPA of 2.7 or higher. The program is fully online with three start dates per year. For graduate students, five degree programs are offered online and through distance education with varying admission prerequisites. The master of public health program enables students to take six core classes via teleconference, online or face-to-face on Saturdays. The M.A. in speech-language pathology program is operated as a cohort and requires students complete 400 practicum hours in-person. Graduates of this program have seen a 100 percent pass rate on the Praxis exam. The University of Akron's distance learning initiatives in teleconferencing has created an intricate web of live instruction connecting students at Ohio high schools, UA and several other universities. Named for the Wright Brothers of aviation, Wright State University provides one bachelor, one doctorate and an army of master's degree programs available for online completion. Online courses at WSU are conducted through Pilot, a customized learning management system by BrightSpace, that allows students and instructors to access class at anytime and from anywhere. Through WSU's distance education department, graduate students can earn their master's degree online in diverse fields including business, education, rehabilitation counseling and nursing. Undergraduate nurses can take their RN career further by completing the online bachelor of science in nursing program, and nurse practitioners can earn their doctorate online through a partnership with the University of Toledo. Online learners have technical, academic and career services available, the same as on-campus students. Prospective students living outside of Ohio should check to see if WSU is authorized to supply online education in their home state. Founded by Franciscan Friars in 1946, the Franciscan University of Steubenville remains a steadfast Catholic university with 20 friars on campus today and more than 400 alumni serving as Catholic priests. Faith is present in the university's degree programs, both on campus and online. Franciscan University has 100 percent online undergraduate and graduate degree programs available in theology, education, philosophy, catechetics and business. There are six online programs total, four at the master's level and two associate. High school students can also get in on the online education action through the Franciscan Fast Track program. During the fall, spring and summer semesters, high school sophomores ages 16 or older can take online courses from a small selection offered by the university. Web courses are operated through Blackboard and incorporate recorded lectures from on-campus faculty, podcasts, webinars and discourse between instructors and students. Online programs are offered at a single tuition price for in-state and out-of-state residents and students taking a minimum of five credits are eligible for financial aid assistance. With fully online degrees, blended options and certificate programs, online students at Cleveland State University have a multitude of pathways toward earning their degree right from home. All of CSU's online classes are delivered through Blackboard Learn and are formatted to be asynchronous, allowing students to do their assignments on their time. Classes also adhere to the criteria for online learning set by Quality Matters, ensuring that students learn everything they need straight from their web course. Undergraduate students can earn a bachelor degree in nursing, business administration or organizational leadership fully online as a degree-completion program. To enroll in the nursing program, students must be active Ohio RNs. Graduate students can pursue one of seven fully online master's degrees, two blended programs and a series of online certifications. As an example, CSU's online accelerated MBA program can be completed in one year and tuition includes an Apple iPad and cellular data throughout a student's matriculation. Ohio Christian University was founded in 1948 as an institution dedicated to the education of Christian church leaders and members. Since then, the university has evolved to provide education to traditional undergrads, as well as adult and graduate students. Today, OCU provides first-time undergraduates with unique online learning opportunities through OCU Online Plus. With OCU Online Plus, high school graduates can select a BA degree in business, political science, history or English that can be completed either fully online or blended with face-to-face instruction. The “plus” aspect encourages students to complete an internship, study abroad or go on a Bible retreat for credit toward their degree. For busy adults students, OCU has more than 30 associate, bachelor and graduate online degree programs that can be completed within two years. Many adult students receive tuition breaks including employer reimbursement, federal aid and military discounts. A historically Catholic university, The Mercy College of Ohio has grown its educational offerings throughout the years to include several distance learning programs. Mercy currently provides six online programs within the field of health care. Active registered nurses can complete their bachelor of science in nursing degree entirely online and RNs ready for the graduate level can earn their master's degree. The MSN program can be completed in six, eight-week semesters and requires a practicum, which can be done at a facility near the student's home. Other available online programs include two bachelor degree completions in medical imaging and health care administration. While Mercy is authorized to provide online education in most states, some programs are unavailable in certain states. Students can check Mercy's out-of-state authorization page for more info about what the college can offer in their home state. The University of Northwestern Ohio gives students the opportunity to earn an associate, bachelor's or master's degree 100 percent online. UNOH has an MBA program, 10 bachelor of science and 11 associate of applied science degree programs available for online study. Students can major in fields such as accounting, business administration, marketing and health care administration. To gain admittance into one of UNOH's online programs, students must have at least a 3.0 GPA, as online education requires students be independent, self-reliant learners. By logging into UNOH's virtual college, students can attend class whenever they want and have access to all class materials. Tuition for all online undergraduate programs is one rate for all residencies and includes the same services provided on campus, such as library resources, advising and private tutoring. Franklin University is a college designed to accommodate the needs of unconventional, adult students. Franklin has more than 20 learning centers in Ohio and out-of-state locations in Pennsylvania, Wisconsin, Indiana and Illinois. With Franklin's online degree programs, students can earn an associate, bachelor's, master's or even doctorate degree 100 percent online. The university offers more than 70 online degrees, hailing from the following departments: health care, accounting and finance, business administration, management and leadership, technology, social sciences, marketing and communications. The online programs at Franklin are instructed by the same quality faculty that teaches on-campus courses and students can log into their virtual classroom from wherever and whenever. Franklin's degree programs are transfer-friendly, allowing up to 94 credits to go towards a bachelor program, 12 to a master's degree and 24 credits towards a doctorate degree. To afford college, students have state and federal aid options, as well as a large variety of scholarships through Franklin that award $13 million annually. Since 1964, The Union Institute and University has been paving the way for adult education programs. Understanding the demands of full-time working adults, Union provides a variety of online degree programs plus academic centers in Ohio, Florida and California. Students can complete a bachelor program online in disciplines like education, business and leadership, health and science or protection and civil service. Students can choose from among 12 programs, with online classes beginning every eight weeks. Bachelor's programs require at least 120 credits to graduate, which can be earned entirely through Union, via transfer credits or through credit for work or life experience. Some online programs demand a senior capstone or practicum, such as student teaching or field work, that requires students travel to a site to complete. Online adult students can be enrolled either full or part time. Candidates interested in earning online degrees in Ohio should consider all aspects of this decision, including transfer credits, admission requirements, and semester format. Learners can explore these ideas through the following FAQ, but should check with their schools for specific information. Do online credits cost more or less in Ohio? Schools can charge tuition in a variety of ways, including bulk charges for each semester or costs by credit. Regardless of the calculation method, schools may charge in-state, out-of-state, and online students different tuition. In Ohio, these tuition amounts vary by school and department. For instance, Notre Dame College requires higher per-credit tuition from nontraditional, online undergraduate learners in summer semesters, but nontraditional, in-person learners pay more during the fall and spring semesters. Kent State University offers different online tuition for different degrees. For example, students pursuing an online bachelor of science in nursing pay less in tuition than candidates earning an in-person degree. However, an 18-credit semester for an online master of business administration costs more than an 18-credit semester for residents exploring on-campus programs. Students should always consult prospective schools’ websites to determine if studying online proves more costly than learning on campus. Which Ohio schools accept the most transfer credits? Ohio provides a Transfer to Degree Guarantee that increases transfer credits for general education requirements, core classes, and credits earned without obtaining a degree. Franklin University in Columbus permits students to transfer a maximum of 94 credits to earn a bachelor’s degree. Since many bachelor’s programs require 120 credits, this policy means that 75% of bachelor’s credits can come from previous schools. For students transferring late in a program, these numbers make Franklin University a solid choice. Candidates can also transfer 12 credits for a master’s degree, 24 credits for a doctoral degree, and 44 credits for an associate degree. Franklin University also holds an agreement with more than 230 community colleges called the Community College Alliance (CCA). The CCA allows learners to take community college courses while working toward an associate degree from the university. The agreement extends to 30 states, so online students can benefit from this opportunity. The school also allows learners to transfer 24 credits from vocational schools, and also earn credit for military training, professional training, testing, and portfolios. For courses without equivalents, credits may transfer as electives only. As an example, if a student takes a Greco-Roman course at one school, then transfers to another school with no similar course, that student may gain only elective credit. For this reason, candidates should discuss transfer credits with advisers. Will any online colleges in Ohio accept a GED? The National Center for Education Statistics (NCES) reports that most schools accept a diploma that candidates earn through the General Education Development (GED) test. This holds true in Ohio, since most state schools allow candidates to apply with a high school diploma or equivalent. Students with home school diplomas can also enroll at Ohio schools. However, candidates with these nontraditional diplomas should check the application requirements for their chosen schools to ensure their credentials meet academic standards. How many academic terms per year do online colleges in Ohio offer? According to the Ohio Department of Higher Education, Ohio public universities run on the standard semester system to allow for easy transfers between institutions. However, online schools in Ohio may allow learners to take classes in five yearly blocks. This formation shortens course timeframes and allows candidates to progress more quickly through programs, depending on how many classes they take. For instance, a candidate who completes three classes per semester, for five semesters, will complete 15 classes per year, as opposed to a student who finishes three classes per semester for four semesters (12 total classes per year). Essentially, learners can view these block-class options as accelerated pace opportunities. Semester lengths in block formats also vary, with classes potentially ranging from 6-10 weeks. Which online colleges in Ohio will accept the FAFSA? In general, most schools accept the Free Application for Federal Student Aid (FAFSA), which allows candidates to apply for multiple forms of financial aid with one document. However, some private institutions may not accept the FAFSA since, by using federal money, they must adhere to federal guidelines for higher education. Essentially, schools may choose to not accept federal funding in order to operate independently from government regulations. However, these private schools often charge higher tuition to make up for the lack of funding. Degree seekers can presume that public schools accept FAFSA since these institutions operate with government funding, whether state or federal. Unfortunately, no definitive list of institutions exists for schools that do not accept the FAFSA. For this reason, private school students should consult their college’s or university’s financial aid department for guidance. Are there any free online classes I can take from Ohio colleges? The Ohio Lifelong Learning program encourages schools to educate older citizens for free. However, these courses do not necessarily reflect standard class experiences. Learners do not always earn college credit, and departments may only allow candidates to enroll in courses with sufficient space and with the instructor’s consent. These details mean that older students taking free classes may not hold the same class options as traditional students. The Department of Higher Education lists 36 schools that offer free classes to older citizens. Ohio also embraces Lifelong Learning Institutes where retirees can pursue nontraditional programs. These opportunities, though non-credit, allow senior citizens to learn new ideas and concepts. Participating schools include Miami University, Youngstown State University, Baldwin-Wallace College, and the University of Dayton. Some schools in Ohio, including The Ohio State University, also offer massive open online courses, which are free, available for anyone to enroll in, and typically do not offer actual college credit. How can I find the online program options at Ohio’s colleges? Ohio’s Department of Higher Education provides information about state colleges and universities. The organization maintains profiles for schools across the state, with information that includes addresses, phone numbers, and URLs. With this tool, degree seekers can explore schools within their geographic area and quickly connect to academic websites. The site also gives information on paying for college, studying abroad, and attending schools after military service. Additional services addressed by the Department of Higher Education include the Transfer to Degree Guarantee, the Ohio eTutoring Collaborative, and Aspire opportunities that prepare candidates for higher education. Specifically, the site lists schools with tuition waivers, and provides information on programs such as Quality Matters and the state’s eTextbook Pilot that helps educators shape and deliver curriculum. Students can complete a FAFSA to receive financial assistance like Pell Grants. Unlike student loans, these grants require no repayment, so candidates can pursue degrees without future financial burdens. Some students, however, do not qualify for federal aid or need more money than the funding delivers. These candidates can pursue scholarships, including the following opportunities for Ohio residents and students. Candidates pursuing occupational therapy or occupational therapy assistant programs full-time in Ohio may qualify for this funding. Applicants must submit an essay and reside in Ohio. Current high school students do not qualify for this scholarship. Recipients cannot renew funding from year to year. Ohio residents may qualify, provided their parent, grandparent, sibling, aunt, uncle, or spouse holds membership to the Ohio Society of Professional Engineers, or held membership when they passed away. Recipients must pursue engineering or related degrees as full-time students and hold a 3.0 GPA. Candidates must submit an essay and evidence of financial need, along with transcripts and recommendations. High school learners who boast Ohio residency should apply to pursue degrees in art through fields such as photography, painting, graphic design, and art education. Candidates must hold a 3.0 GPA, and also supply five artistic samples and a recommendation letter. Recipients can use this funding at two-year schools, four-year schools, and art institutions. Students interested in environmental science and engineering employment qualify, but must attend an Ohio school to earn a four- or five-year degree for the full scholarship. Learners in their second year of a two-year program may earn $1,250. Recipients may use this funding for various educational needs, including tuition and books, but may not apply money toward housing. Non-freshman undergraduate students who study communications, journalism, marketing, or advertising in Ohio may apply with a 2.5 GPA. Application materials include a personal essay outlining field interest and accomplishments, recommendation letters, and writing examples. The Ohio News Media Foundation delivers this funding to two students for the 2019-2020 school year.